Sydney producer Endgrain (Jackson May) returns with his La Junta EP & new single “Way Back”. La Junta is the culmination of over a year’s work for Endgrain. New single "Way Back" follows suit; a winding bassline and simple hook, playing with listener expectations across three distinct movements. Sydney based producers JV & Palf share their debut Wren EP, an engaging, pulsating and genre-pushing release, and the most recent signee to October Records. With a pressurised sonics and galloping percussion, "Don't Stop" leaves little room to catch your breath. A serious club workout with playful overtones; it works manipulated vocal samples over a wall of low end that demands attention. Originally drawing inspiration from colourful beat makers such as Bonobo and Quantic, Endgrain's scope as a producer has evolved to increasingly draw on UK club culture, house and techno. "Heavy Lifting" pairs hooky percussion with overdriven 808s to create the perfect club weapon. It's simplicity fuels it's appeal; it's few elements standing tall without needless sonic clutter. Gritty, raw and effective, it showcases a producer confident in his ability to aim directly for the heart of the dance floor. Sydney producer/DJ Endgrain's output varies from laid-back, dusty summer slow jams through to heart-racing, high impact club music and almost everything in between. '4 x 4' is the first taste from Endgrain's forthcoming EP - a rolling, hypnotic arrangement of percussion, compelling bass and addictive sampling combining to form a high-energy house cut made for dance floors. Its simple, club-inspired instrumentation, intuitive pacing and sub-rattling low end is guaranteed to make crowds move. Known for incorporating native Indigenous sounds from across the globe, together with a blend of envelope-pushing club sounds, Ribongia’s music reflects his curiosity and cutting edge style like no other. Premiered on triple j's Good Nights, "We Run Tings" features UK grime MC Footsie and cleverly infuses the grime-based vocal work with a pulsing tropical undercurrent and undeniable sense of fun. Moonbase Commander resides in the grimy warehouses of the Sydney bass music scene; a producer who unites the worlds of left-field hip hop and future bass to rousing effect. New single ‘Oblivion’ (featuring Melbourne upstart Ecca Vandal) is a wolf in sheep’s clothing; a pop record draped in MBC's bass-heavy production. BUOY is one of Australia’s most innovative electronic acts. After releasing 'Clouds & Rain' and a spot at Splendour in the Grass, BUOY is now showcasing her Break EP. Exit's crackling textures and droning synth work are reminiscent of James Blake. BUOY builds an introspective mood before launching into a relentless double-time section in the song’s second half. As with most of BUOY's work, the track is about tension & release, and is worth listening to the very end. ‘Greyhound’, was premiered on Triple J & mixmag and marks the first release of original material from MBC in 2016. Featuring a snarling, low-slung bassline, semi-automatic snares and rolling vocal samples, ‘Greyhound’ eventually gives way to a jungle-inspired mix of rave stabs and pure warehouse energy. Ri•bon•gia (pronounced Ribonjia). Chaos; Pandemonium; General Mischief: "The revellers entered the state of ribongia, and immersed themselves in the chaos that ensued. "Origin: mid-17th cent. : Florence, Italy. Slang meaning disarray. 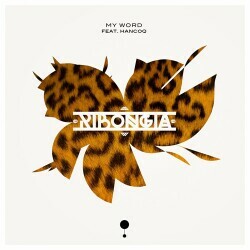 ‘My Word’ featuring Melbourne-based hip-hop artist Hancoq (ESESE) is the first new release since his energetic debut single ‘Journeys’, which once again delivers his unique take on worldly electronic music and cements him as one of the most impressive emerging acts in Australia.